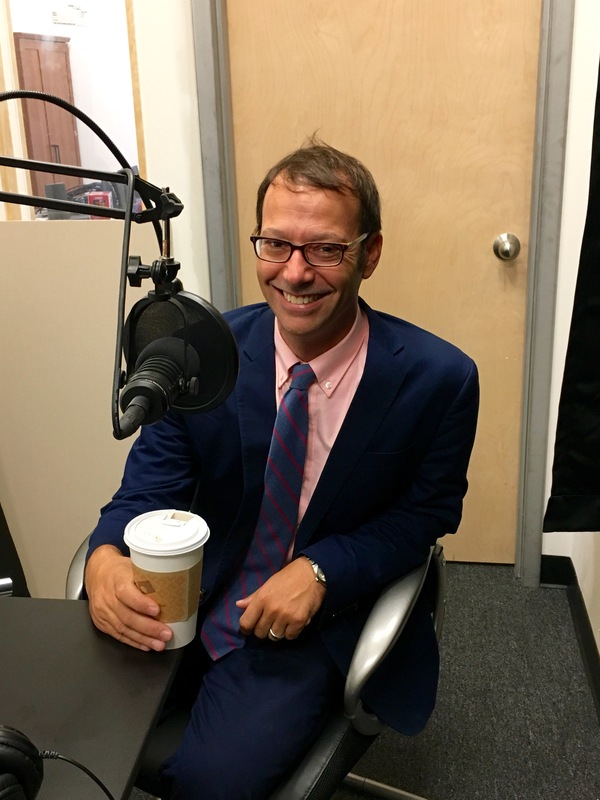 On the latest episode of Bloomberg’s Masters in Politics podcast, Tammy Haddad and Betsy Fischer Martin spoke to media writer extraordinaire Jim Rutenberg about how candidates manipulate the media or hide from it in order to control the narrative. 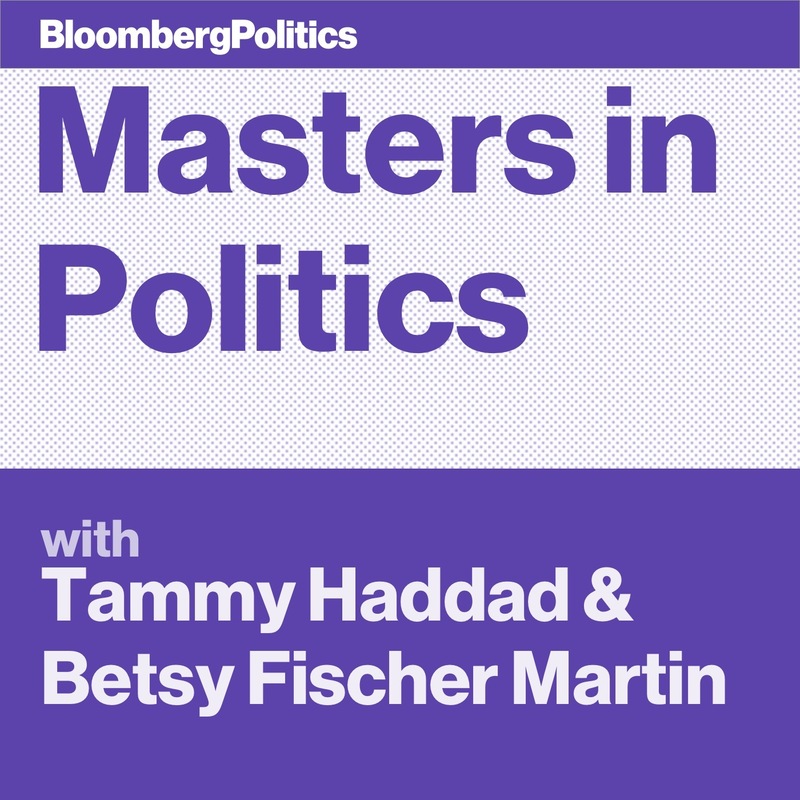 Bloomberg Masters in Politics hosts Tammy Haddad and Betsy Fischer Martin interviewed Hillary Clinton’s man leading her campaign’s ground efforts. Marlon Marshall, state director for all 50 states, broke down the strategy for this year’s battleground states. In their conversation with John Dickerson, host of CBS News’ Face the Nation and the author of the new book Whistlestop: My My Favorite Moments from Presidential Campaign History, they discussed news that Donald Trump has recently enlisted former FOX News chairman Roger Ailes to assist with debate prep. Many have pointed to Utah, which has solidly voted Republican in presidential elections since 1968, as state Clinton could pick up. 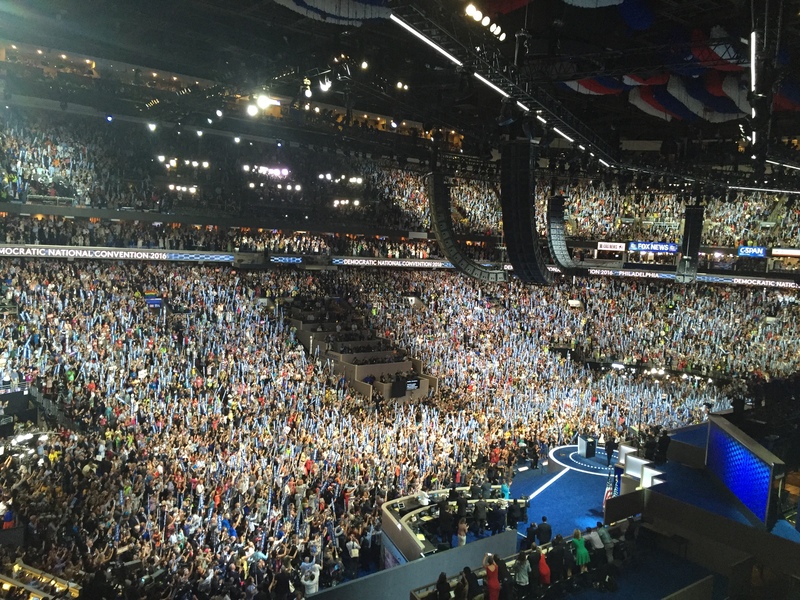 According to Marshall, “President Clinton was out there the other day. He did a meeting with some community leaders in Utah. I think a lot of public polls will show Utah to be closer than one would expect. I attribute it to a couple of things: One, I think our message is resonating on the economy and what Hillary wants to do to build an economy for everyone and not just ones at the top. But I do think Trump’s rhetoric is very divisive rhetoric. In some states it’s really turning people off. I think in a state like Utah, which is typically more conservative, they’re saying, ‘This is not the type of person who should represent this country or our state.’ So, are we going to win Utah? I don’t know. But is it something that’s on our radar? Yeah, we’re gonna take a look. 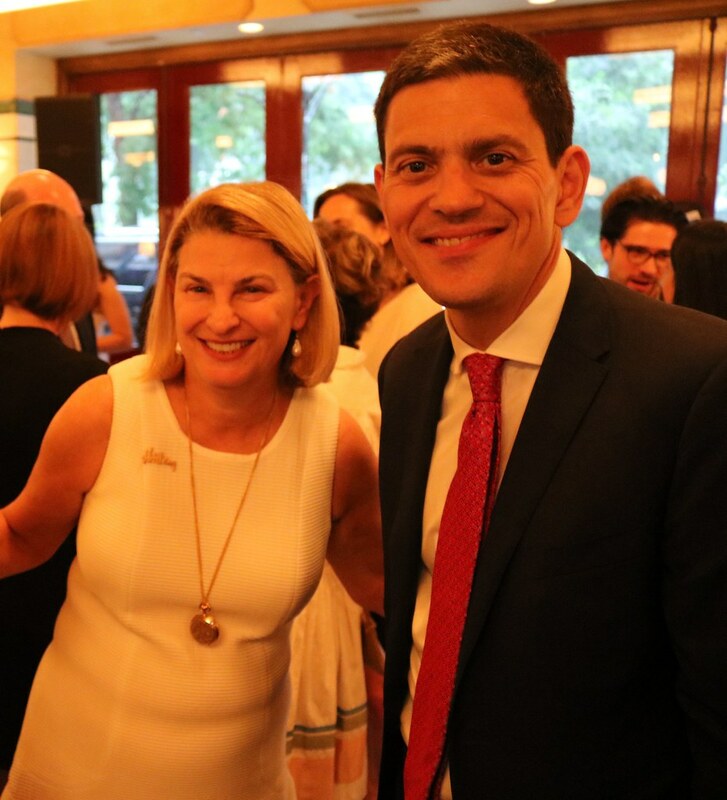 On the last night of the Democratic National Convention it was standing room only at a reception honoring David Miliband and supporting the work of the International Rescue Committee, an NGO that provides relief for refugees of war-torn countries such as Syria and other humanitarian crises. The event was co-hosted by Democratic heavyweights Sally Susman, Mona Sutphen, Tom Nides and Maureen White at Parc in Rittenhouse Square. Attending the event where Senator Kirsten Gillibrand, California Lieutenant Governor Gavin Newsom, Gene Sperling, Jill Abramson, Don Baer, Hilary Rosen, Bob Barnett, Jonathan Capehart, Nick Schmitt, Steve Rattner, Erin Burnett, New York Attorney General Eric Schneiderman, Anita Dunn, Lois Romano, Eve O’Toole, Laura Zelenko and Megan Murphy. Sally Susman is Executive Vice President of Corporate Affairs at Pfizer and to learn more about the International Rescue Committee click here. Julianne Donofrio’s six-years-in-the-making film is set to debut August 11th at the national Quilt Trail Gathering in Greeneville, Tennessee. The film follows Donna Sue Groves, who started the quilt trail movement, where quilt squares are hung on barns along driving routes, creating an elaborate network that combines art and travel in unlikely places. The feature length documentary, “Pieced Together,” follows Groves as she navigates through personal hardship and sheds light on the movement she began with her neighbors in Adams County, Ohio. The quilt square movement has sprung up from this small community and has now gone nationwide, with trails in over 40 states and more forming in Canada and elsewhere. Ms. Donofrio is a veteran filmmaker and news who previous worked for ABC News and Haddad Media. She is a graduate of Syracuse University. You can find out more about the National Quilt Trail Gathering here. Be sure to check out this interview with filmmaker Julianne Donofrio here.